Action wrapped up at the 2012-2013 World Series of Poker Circuit presented by Southern Comfort 100 Proof Horseshoe Southern Indiana Main Event on Monday evening. 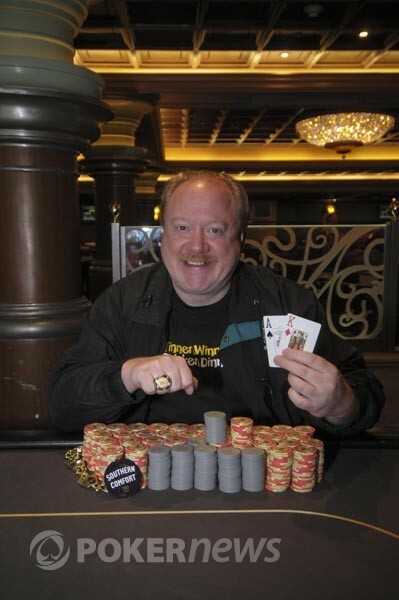 After three long days of play, Dan Heimiller bested the field to win the WSOPC gold ring, $117,300, and seat to the National Championship. To begin Day 3, 21 players returned and after only two levels of crazy action the field was trimmed to an unofficial final table of 10 players. Kathy Liebert, Jason Stanford, Kenny Nguyen, and Aaron Kerns missed the final table but still earned decent payouts. 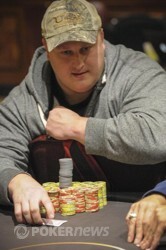 Kevin Davis was the first player eliminated from the official final table. Davis moved all of his chips in the middle on a board reading against Jonathan Taylor, who called. Davis, holding , was behind Taylor's . Davis needed help on the river, but didn't get it because an ace fell, giving Taylor two pair and the knockout. Nearly a whole level passed before Charles Furey exited in eighth place. He shoved preflop with and was called by Taylor who was holding pocket eights. The board ran out and Furey was sent to the payout desk. Less than an orbit later, Taylor earned another elimination by taking out Joseph Worth in seventh place. Worth open-shoved with and Taylor, who held the better , made the call. Taylor flopped an insurmountable lead when it came . The turn and river fell and Worth was eliminated. Sixty minutes ticked off the clock before Dan Heimiller eliminated Ki Kim sixth place. Kim was short stacked and moved in preflop with . Heimiller called and tabled . The board ran out , sending Kim away from the tournament area. During most of five-handed play, Taylor held half of the chips in play and looked to be on cruise control to a heads-up match. Heimiller took the lead from Taylor after a hand with Sean Winter. Winter opened for a min-raise on the button, then Heimiller, in the small blind, bumped it up to 120,000. Winter called and the flop came . Heimiller led out for 150,000 and Winter flat-called. The turn brought the and Heimiller bet 250,000. Winter called and the fell on the river. Heimiller checked and Winter moved all in for just over 700,000. Heimiller took a few minutes before he made the call. Heimiller flipped over and Winter slumped in his seat then flashed before chucking his cards in the muck. 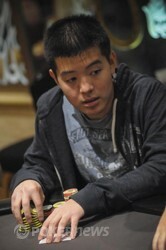 Shortly after the dinner break, Tim Chang was eliminated in fourth place. It happened after Chad Eveslage opened for a min-raise and Tim Chang moved all in from the big blind. Eveslage called and tabled . He was up against Chang’s pocket nines, but an ace hit the flop giving Eveslage the lead. Chang didn't find any help on the subsequent streets and was eliminated in fourth place. Two hands later, action folded to Eveslage who opened from the small blind. Heimiller called from the big blind and the flop fell . Eveslage bet, Heimiller raised, and Eveslage three-bet shoved. Heimiller called with and Eveslage tabled . The board completed with the on the turn and the on the river, eliminating Eveslage in third place. Heimiller and Taylor began heads-up play with 3.7 million in chips and 3.1 million in chips respectively. Heimiller drew first blood within the first three hands to take a near 2-1 chip lead. They played heads up for just over a half hour before the final hand came down to a preflop raising war. Taylor min-raised on the button, Heimiller raised to 180,000, and Taylor slid out 500,000. Heimiller shoved and Taylor called with . 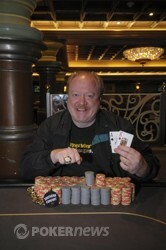 Heimiller was ahead with and kept the lead as the board ran out , giving him the win and his first WSOPC gold ring. Jonathan Taylor min-raised on the button to 60,000 and Dan Heimiller raised to 180,000. Taylor slid out a big stack of T25,000 chips to make it an even 500,000 to play. Heimiller announced all in and Taylor called. The board ran and Heimiller won the tournament. Jonathan Taylor and Dan Heimiller each committed 150,000 preflop. The dealer spread and both players checked. The turn came and they both checked again. The river came , Taylor checked, Heimiller bet 150,000 and Taylor called. Heimiller tabled to take the hand. Dan Heimiller and Jonathan Taylor went to a flop of . Heimiller checked, Taylor bet 65,000 and Heimiller raised to 150,000. Taylor thought for a moment and three-bet to 375,000. Heimiller would have none of it and announced a 500,000 raise. Taylor sat for quite a bit before electing to fold. 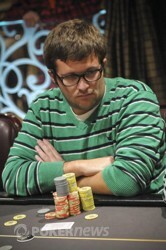 Heimiller won the first significant pot of heads up play. Chad Eveslage opened to 65,000 from the small bind and Dan Heimiller called from the big blind. The flop came , Eveslage bet 80,000, Heimiller raised to 200,000 and Eveslage shoved. Heimiller called and the hands were tabled. The board completed and Eveslage was eliminated. Chad Eveslage opened the hand with a min-raise to 60,000 and Tim Chang moved all in from the big blind. Eveslage called and the hands were tabled. The board ran and Chang was eliminated.